Brite-Mat Coaster - Express Corporate - Promotional Products - Delivered Fast! Amazing colour reproduction on a low profile non-slip base. 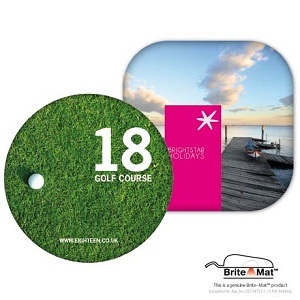 As part of the Brite-Mat range, this coaster offers high quality and durability. Available in round or square. Contains recycled material.